Hi Tek graphics on face. With of strap is 22mm, 7/8 inches. 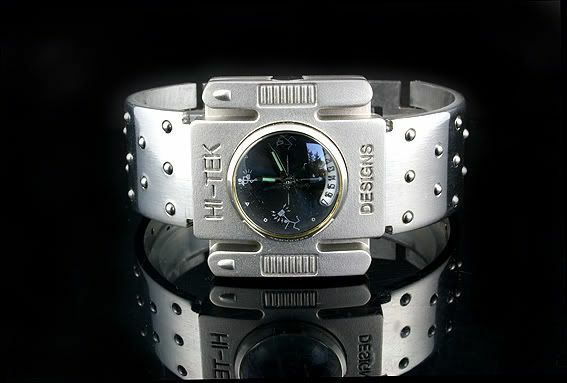 Hi Tek graphics on the watch face.